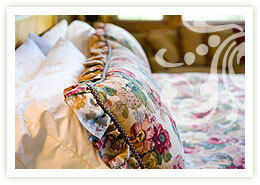 Each of the rooms has its own period features and all rooms are unique. Lyndhurst, we have established a homely style environment that feels like a resident’s own home. Five elegant Edwardian houses have been tastefully converted to create a unique Care Home in an idyllic, quiet wide tree-lined road, ideally situated on level ground only a few minutes from Hove seafront, within the vibrant city of Brighton & Hove and close to the local train station and buses. 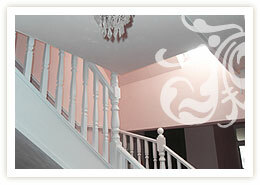 At Lyndhurst we provide accommodation within the two homes (Lyndhurst Residential Care Home and Lyndhurst Group Home). Each of our rooms has its own period features and all rooms are unique, all with wash basin facilities, or en-suite facilities. We encourage residents to choose to decorate, furnish or equip their rooms in their own style and use them as much as they wish for leisure, meals and entertaining. The home provides various bath and shower facilities with bath hoists if required. We also use specialized moving and handling equipment. All parts of the home are accessible for those with limited mobility, for wheelchair users and for those with disabilities. All doorways in the house are wide enough to be accessible by wheelchairs. We have replaced steps and level changes with easy to navigate slopes along with grab rails. We provide an elevator giving easy access to the first floor for our residents, so enabling them to enjoy our dining area and Lounges/Conservatories, thus enjoying full freedom around the home and Garden. It is our mission to offer our residents an excellent standard of living. 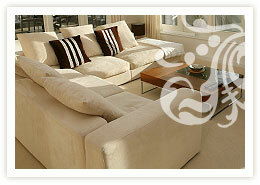 The buildings are spacious and well maintained and offer a high quality environment with a good degree of privacy. The grounds are fully accessible to residents to enjoy. It is our mission to offer our residents an excellent standard of living in comfortable, homely conditions and we make every effort to ensure a friendly, welcoming atmosphere in a home which is maintained in good order, comfortably furnished and attractively decorated with their choice. While the home provides a range of activities and facilities for people to join together, the home also respects the rights of individuals to have their ‘own space’, particularly when family and friends are visiting. To support this we have a number of different communal areas including a television room and two ‘quieter’ rooms where residents can sit and chat or read or enjoy the garden views. We also have a patio area and a wealth of quiet spots in the garden to smoke or enjoy the sun or look at greens. Our residents may spend their day in one of our elegant, comfortable lounges where they may read or watch television, or sit in our sunny conservatory overlooking the sun trap walled garden. 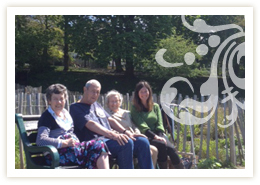 Residents at Lyndhurst can enjoy Hove’s beautiful St Anne’s Well Gardens. The garden is designed to provide a restful and attractive setting for the home. Considerable improvements have been made to the garden over recent years to open them up and allow in more sunlight as well as to make them more accessible for residents. The patio is accessible to wheelchairs, and there is ample lighting to ensure that people can move safely around in the dark. There are a range of covered seating areas and parasols for shelter from the sun. For residents who are mobile, the beautiful St Anne’s Well Gardens are little more than a few minutes’ walk from our front door. The gardens are particularly attractive in the Spring when the crocuses, daffodils and blossoms are in bloom.